Washington – The Obama administration has classified the 1967 Freedom of Information Act, according to intelligence officials. 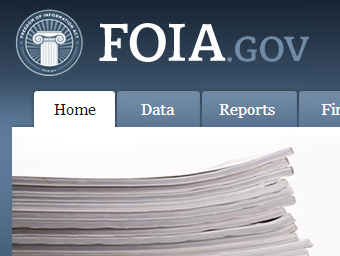 The landmark piece of legislation, often referred to as FOIA, was signed by President Lyndon Johnson and guaranteed access to previously unreleased information and documents controlled by various branches of the U.S. government. It had a wide-ranging impact on the ability of advocacy groups, journalists and the general public to obtain information which they would otherwise likely have been unable to obtain. The intelligence officials, who spoke on condition of anonymity, as they are not authorized to speak publicly on the matter, admitted they were not aware of the reason for the law’s sudden classification. Attempts to view the text of the law on the U.S. Department of Justice website return a 404 “not found” error page, as of 4PM est today. The Freedom of Information Act and the Obama memo addressing its implementation are apparently not the only documents to be newly classified. Also classified is Obama’s “Transparency and Open Government” memo of 2009, and H.R. 553, The Reducing Over-Classification Act.